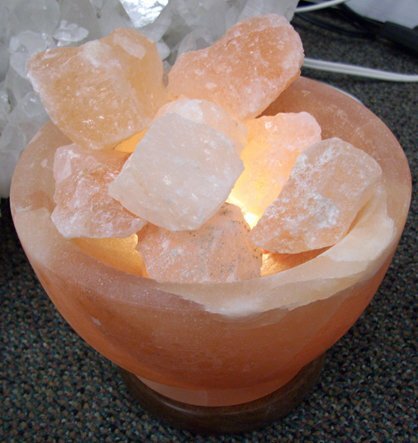 This salt lamp is has a bowl carved out of salt as well as salt crystals filling the bowl. The light with inline cord switch is included. Size is approximately 5 inches high with a diameter of 6 inches.